Fugu is a Japanese dish made from a highly toxic type of pufferfish. The sushi chefs who prepare the dish train for years in the fine art of how to precisely dissect the fish so as to avoid the poisonous parts contaminating the rest of the flesh. 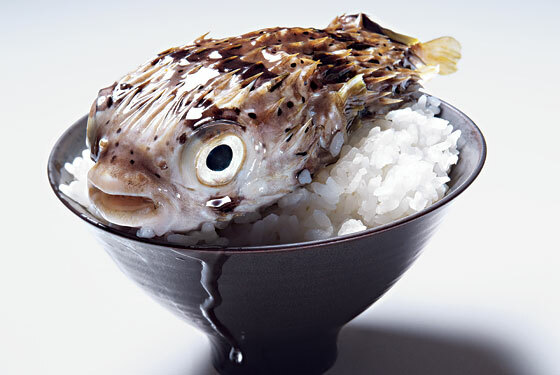 When prepared correctly, fugu is considered a delicacy and its sale is tightly controlled. The toxin that the fish contains is fatal if incorrectly prepared, but when done right, just the tiniest amount of the toxin is allowed to remain in the flesh of the fish, which aficionados say imparts a tingling sensation in the mouth and a feeling of nirvana. So basically, if you know what you’re doing, really know what you’re doing, you can take a lethal fish and turn it into something extraordinary, something that is an asset. You’re the culinary alchemist that turned poison into gourmet. Likewise with Greece and the country’s current economic situation. Looking at the country, you’d think that with its never ending bailout programme, constant credit downgrading and general volatility, no one in their right minds would invest in Greece. That toxic fish? Who in their right mind would want a slice of that? Throw it back in the sea! But you’d be wrong. Following the laws of physics where nothing occurs in a vacuum and the notion of cause and effect, markets move in two directions, and when that direction is down, someone is still making money. If it wasn’t so, the entire world would follow suit when an economic collapse occurs. Just recently, veteran investor Mark Mobius, who also manages the emerging markets fund at Franklin Templeton Investment, advised that Greece was still a good buy. “From a long-term perspective, there is an opportunity to invest in companies that are undervalued and provide good upside.” he said. He’s not alone in this view. Since the start of the crisis, and even more so since the elections, hedge funds in particular, those high-risk, high-gain cowboys of the investment world, are showing a lot of interest in Greece. As stock and bond prices go down, they’re the ones who’ll be moving in, and who knows, they might just end up laughing all the way to the bank. The fact is that if you know what you’re doing and if you know what you’re looking for, even an apparent economic basket case like Greece can still be worth investing in, especially at the current low asset prices. When economic performance is so poor, surely the only way is up. In April this year, Mark Hulbert was one of the voices advising just this strategy when applied to Greek equities in his column for MarketWatch.com. Stocks don’t trade into an abyss. When traders are dumping stocks, they don’t evaporate into thin air. Someone somewhere is buying them. Those people are the ones who have a bigger appetite for risk and could find themselves in possession of some prime investment cuts when Greece’s situation improves. Back to our little pufferfish sitting on the chopping board. Think of this toxic little fish as investing in Greece. The opportunity is in front of you and now you’re wondering what the hell you’re supposed to do with it. One wrong move and the poison will seep into everything. Get it right and you’ve got yourself a one-way ticket to glory. If you’re in the position of the investment equivalent of the nervous chef, standing over a pufferfish that’s eyeing you back with its dead, glazed over, junk status of an investment opportunity and wondering where to make the first cut, step back. Take a breath and consult the experts. Because they do exist, and in going against the grain with their advice to buy Greece, they can’t all be crazy. Investing in Greece. Not for the faint hearted, but a fruit that’s tempting to the right sort of investor. Take a bite, if you dare. Just make sure your blade doesn’t slip when you finally make your decision. Inspiration for this post came after writing in the National about Greece’s investment opportunities, here and here. This article appeared in Athens Views, 9 May 2015. Previous The patient on the table.